Bedtime is early for Martin Kampmann these days, a perk of being newly retired, as well as the cost of having three children who are four-years-old and under. But lack of sleep aside, life is good for the 33-year-old “Hitman,” who officially retired from active MMA competition this week as he settles in with his wife and children in his native Denmark. Maybe it’s that little voice that speaks to so many fighters who believe they’ve got one more left, and Kampmann, who won three straight over Rick Story, Thiago Alves and Jake Ellenberger before two losses to Johny Hendricks and Carlos Condit – the latter bout earning him Fight of the Night honors – certainly could have made another run. But no one knows better than a fighter when it’s time to walk away, even if he doesn’t always act on such knowledge. Owner of a 20-7 record compiled during a career that began in 2003, Aarhus native Kampmann won 11 of 17 UFC bouts, but numbers don’t tell the complete story. 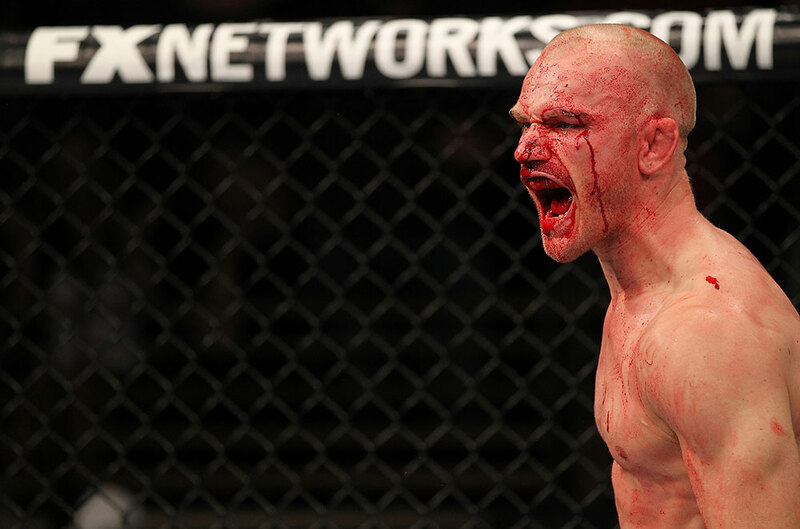 A cerebral fighter with stellar technique both on the feet and the ground (hence his nine knockout wins and six submission victories), Kampmann could often live up to his nickname as the calm, cool and collected Hitman. But more often than not, he was able to turn from Dr. Jekyll to Mr. Hyde in the space of one exchange, being more than willing to dig down deep and get involved in a bloody, crowd pleasing brawl. What resulted were two pitched battles with Condit, an unforgettable three-round war with Diego Sanchez, and bonus-winning finishes of Drew McFedries, Alves and Ellenberger. Add in victories over Thales Leites, Jorge Rivera, Jacob Volkmann and Paulo Thiago, and Kampmann was clearly one of the best fighters of his era. After the Condit rematch in August of 2013, Kampmann, who spent much of his career living and training in Las Vegas, eventually took a job coaching the Team Alpha Male squad in Sacramento. But with his family growing six months ago when he and his wife welcomed a daughter into the world to join their two boys, Kampmann decided that it was time to go home and start the next chapter of his life. And while his days are currently filled with renovating his house, he’s not going to stay too far away from the sport. He also hopes to get some time in for his other passion – fishing – once his gear arrives from Las Vegas in the next couple of weeks. But in the meantime, Kampmann will be working on his house and catching some sleep when he can before the inevitable cries of his daughter cause him to jump into daddy mode. And given what we’ve always seen from him in the Octagon, if there’s anything that needs to be handled, he can do it with the best of them. About the only thing he can’t be decisive about is what fight he would choose to best represent what he was about. He’s fine with that legacy. And he should be, because it’s one any fighter would want.